The first Jubb family in Batley parish was that of Joseph Jubb, born about 1786 in Hanging Heaton. He married Leticia Talbot in Batley Parish. They and their children and grandchildren were among Batley's most prominent citizens. Joseph Jubb was an original member of the Hick Lane Mill. Built in 1822, it was the first mill designed for the manufacture of shoddy. "Mr. Joseph Jubb and his six sons owned five mills between them and had social position to match." The descendants of Joseph Jubb subsequently branched out and invested in the Howley Park Colliery (coal mine) assuring that their mills would not run out of fuel. The family initially lived in town but following the fashion of successful mill owners the sons, John, George, and Samuel moved to mansions in Upper Batley where John was listed in Lamplands House, (1861 through 1881), George was listed in Swiss House (1871 and 1881) and Samuel was listed in Woodfield (1871 and 1881). By In 1901 the only Jubb living in the area was James Brook Jubb, the son of Joseph and his second wife born in 1840, who had replaced George Jubb at Swiss House. 1901 Charles Carter (shoddy manufacturer) was at Lamplands and Harry Dyson (cigar merchant) was a Woodfield. Samuel Jubb's widow, Mary, was living with their daughter, Eleanor, on Park Avenue Rutland Road, Batley. "The shoddy manufacture was commenced at Batley, Yorkshire, in the year 1813, being introduced by Mr. Benjamin Law, of the same place." "The first and least reliable, so far as the origin is concerned, is one published in 1860, written by Mr. Samuel Jubb. In this publication Mr. Jubb would leave the public to infer that the origin of the trade was involved in obscurity." "Mr. Jubb in his "History of the Shoddy Trade" says "it is uncertain who first produced rag-wool, or shoddy, but the presumption is in the favour of Mr. Benjamin Law". In response to the article Samuel Jubb wrote to Edwin Law and Edwin replied to Samuel's letter and then sent copies of both letters to the Batley newspaper to be published. Having inadvertently omitted to acknowledge receipt of your pamphlet duly on the "Discovery and early history of the Shoddy and Mungo Trades" I hasten to thank you for your courtesy in the matter. You speak of my account of the rise of the early shoddy trade as being "unreliable". To this I can only reply that at the time I wrote my book on the subject I made all the enquiry I well could and I think and am almost sure I consulted Mr. Parker upon whom you so much rely for your information. I had no object other than to narrate the truth and to do justice to everybody. I believe I mentioned no name but that of Mr. Benjamin Law to whom I assigned the honour of being probably the party who first applied shoddy in the manufacture of woollen goods. Some time after the publication of your book I left Batley and it was not until some years had elapsed that, happening to be looking over the old books stalls at Shudehill Market, Manchester, and seeing a larger number of new copies of your work exposed for sale, the subject again recurred to my mind. I at once wrote a letter on the subject to the Batley papers. In the letter I referred to a certain old man, since decease, as the reputed weaver of the first shoddy piece. I heard incidentally, some time afterwards, that you had some conversation with him on the subject, the purport of which I do not know, but I suppose it was confirmatory of my statement, otherwise you would not, doubtless, have allowed it to go uncorrected. You say, in your note, that at the time you wrote your book you made all the enquiry you could. Now I believe that most historians consider family reminiscences of some value and worthy of consultation, even though they might find it necessary to question their accuracy. May I therefore ask you which of the members of Mr. Benjamin Law's family you consulted with when composing your book? I am sure you will pardon me for pointing out your inaccuracy in stating in your note to me that you "assigned to Mr. Benjamin Law the honour of being probably the party who first applied shoddy in the manufacture of woollen goods". This is just what you omitted to state. You tell us, on page 17 of your book, that it is uncertain who first produced ragwool or shoddy but the presumption is in the favour of Mr. Benjamin Law and then diminish "the presumption" by stating that several persons began running rag machines almost simultaneously. Then you go on to say that there were earlier machines than these elsewhere, particularly at Brighouse, where Mr. Law sent his rags to be ground. You further state that rag machines were used in London prior to their use in the West Riding. All we can gather from this is "a presumption" that Mr, Law was NOT the first producer of ragwool or shoddy. The argument proves too much, and mole ruit sua - it falls by its own weight. He, indeed, found it ready made, and had sufficient discernment to see its value in the manufacture of cloth, to which he applied it. I am dear sir, yours faithfully Edwin Law"
"Mr. Joseph Parker of the firm of Joseph Parker and sons, manufacturers, Batley, who is well known for his connection with the Board of Health of which he was 8 years a member and 6 years the chairman. He was one of the Board of Surveyors and in 1837 was one of the last overseers of the poor under the old law and one of the first members under the new law. Mr. Parker will also be remembered as the founder of the Batley Chamber of Commerce and the promoter of various important improvements in the town. He is one of the oldest aborigines of Batley and was born in the year 1799 at "Lane End". 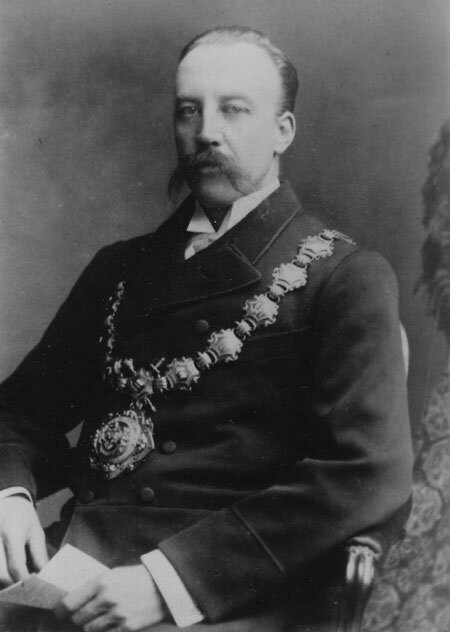 Son, John, was the first mayor of Batley and also held other civic positions. Grandson, John Joseph Jubb, the son of John Jubb, was also a mayor of Batley. Baine's Directory of 1822 listed Joseph Jubb under Flushing manfrs. Marriage: Joseph Jubb married Leticia Talbot in Batley parish 18 September 1806. He signed. She x'ed. Witnesses William Blakeley and Thomas Webster. 1871 Census: Same information 10 years later, different servant. See John Joseph Jubb below and/or see Michael Sheard and Sarah Lister and Descendants now or at the bottom to the page. There also was a coachman/gardener, James Gosthing, and his wife living in the coachman's lodge. There also was a gardener, James Hartley, and his wife living in the porter's lodge. In town life the progressive John is best known. Born in 1807 he married Miss Mary Akeroyd, daughter of John Akeroyd, keeper of the Bull and Butcher Inn. A member of the board of Surveyors from 1847 to 1833 he was chairman of the Local Board of Health in 1853 and was elected first Mayor of the town in 1868. He was the town's first magistrate when court facilities were granted, was first chairman of the Batley School Board and helped to promote the Batley Chamber of Commerce." Occupation: According to Malcolm Haigh, Joseph Jubb was a butcher for many years before he joined the family business and became head of the Victoria Mills (Malcolm Haigh, The History of Batley). Joseph was not listed in the 1834 Pigot's Directory as a butcher. He was listed as such on the birth of his daughter Elizabeth in 1831. Note: John Sheard born circa 1835 was the son of James Sheard and Ann Colbeck. 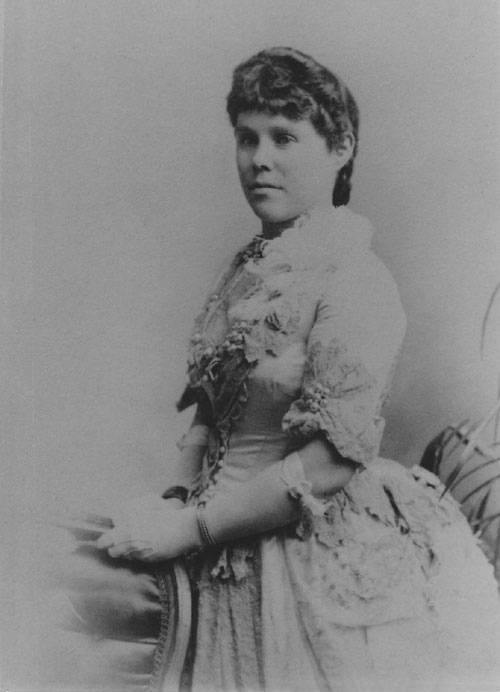 James Sheard died and Ann Colbeck married Edmond Parker. Ann Colbeck Sheard Parker and her children were listed next to Joseph Jubb, senior (age 66) in the 1851 census. Note: Andy Coats suggests that Elizabeth G. "Sheard" is really Elizabeth Stocker who was living with Joseph Jubb in 1881. Elizabeth Stocker's mother and brothers were living in Blenheim House Batley: Ellen Stocker, "wife", age 34 annuitant, Chas Harold Stocker, son, age 13, scholar, Walter Arthur Stocker, son, age 4, Nancy Sheard, mother in law, age 61 annuitant, Annie Ellen Sheard niece, age 13, scholar and a servant, all born Batley. James Sheard married Ann Colbeck and Hannah Jubb's maiden name was Colbeck, as far as I can tell they were sisters. James Sheard died in his thirties and I believe that Ellen Sheard was "adopted" by the Jubbs (who had no children at the time). However we find, in 1871, Ellen (Sheard) Stocker was living with her mother (in a huge mansion called Blenheim House - which now caters marriages and the like). Note: Leticia Burnley, the daughter of Leticia Fox Burnley was listed with her uncle Joseph Fox, woolen manufacturer on Grosvernor Road in Batley. 1861 Census: With his sister Letitia Fox Burnley see Lettia above. Note: Martha Fox age 35 married and her son, Norman, age 7, born Batley, were "lodgers" on Victoria Street in North Meols (?) Southport, Lancashire in the 1881 census. 1901 Census: in Upper Batley, head age 46, retired woolen manufacturer, wife, Mary E age 43, James C son age 16, Leticia, sister age 38, and two servants. Death: Another Thomas born circa 1837. Joseph Jubb was listed in the 1822 Baine's Directory for Batley as a Flushing Manufacturer and a carrier. Occupation: Joseph Jubb was listed as a clothier at the baptisms of several of his children. William of Joseph and Mary born 2 April, 1833 baptized 5 May 1833, Batley clothier. 1871 Census: On Dark Lane Batley, James Brook Jubb age 31 woolen manufacturer, head, Sarah Ellen, wife, Age 31, Elizabeth Newsome, age 19 servant. Note: The ages in this census were rounded to nearest 5. Baptized as "Martha" daughter of Joseph and Sarah Ann Sheard, "Batley manufacturer" January 28 baptized March 31, 1850. 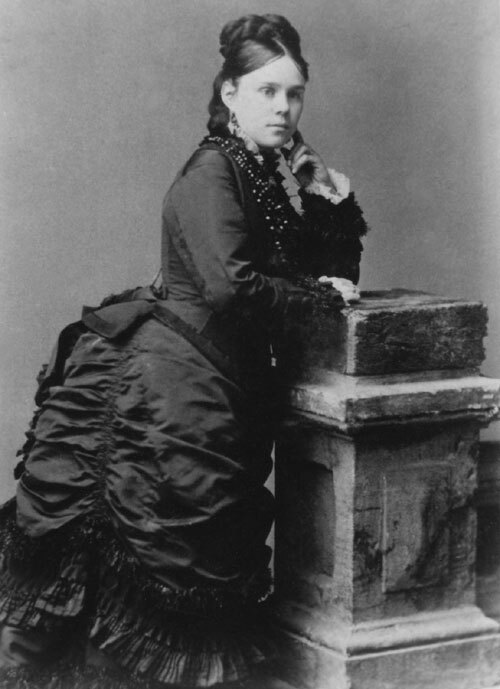 Listed in the 1851 and 1861 censuses as "Matilda". There also was a couchman, John Stubley, and his family living in Blenheim Lodge. There also was a gardner, William Parker, and his family living in Blenheim Lodge. There also was a coachman, John Fletcher, and his family living in Blenheim Lodge. I was just about to put an old photo back in the attic, when I thought I'd look up the name on the web. John Joseph Jubb was my mother's grandfather. The picture is attached. My mother was Edith May Whitehead born June 1920, but I don't know much else. 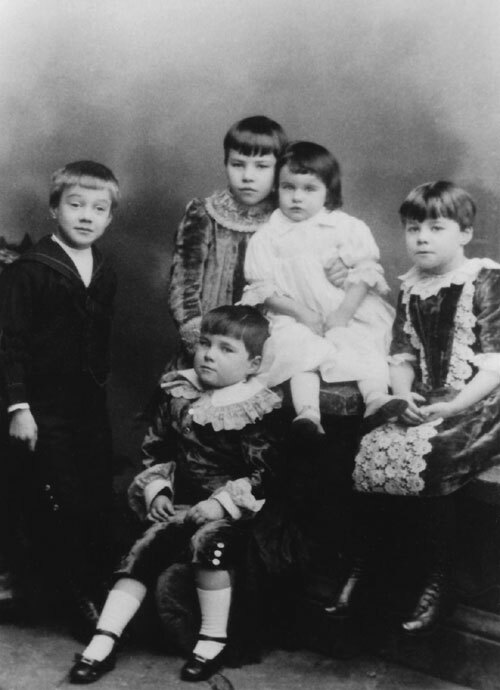 Another is believed to be the Jubbs' children (my mother put a question mark against that, so she wasn't certain).